Pacific Properties strongly respects copyright protections. We will respond as promptly as possible to any reports of copyright infringement on our primary and supplemental websites, and in any IDX displays and IDX content. 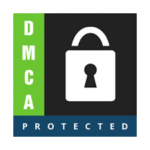 Pacific Properties works within the guidelines of the US Digital Millennium Copyright Act (“DMCA”) to address and rectify any and all reports and instances of copyright infringement. Signature (hand-signed or electronic) of the owner, or a person authorized by the owner, of a copyright that is allegedly infringed. Identification of the original copyrighted work that is allegedly infringed, including website address / URL, location on the webpage, type of material (such as whether it is text, a photo, or both), a description of the work, and any other relevant information, sufficient for Pacific Properties to identify it. iii. Identification of the material in an Pacific Properties website or display that is allegedly infringing upon the work from point ii. above, including website address / URL, location on the webpage, type of material (such as whether it is text, a photo, or both), a description of the work, and any other relevant information, sufficient for Pacific Properties to identify it. Contact information for the complaining Party, including email address, mailing address, and phone number. Copyright Agent Contact. Pacific Properties’s Copyright Agent contact information is as follows. Email is our preferred method of communication. Take-Down Procedure. Upon receipt and verification of notice of infringement, Pacific Properties will remove the infringing materials, at its sole discretion. To the extent possible, Pacific Properties will notify the infringing party in writing after removal. Advance notice of removal is generally not possible. Termination for Repeat Infringement. Pacific Properties reserves the right to terminate access, for any or all of our Software and Services, to any Party, if that Party is found to be repeatedly infringing copyrights.